Premiere Of Disney And Marvel Studios’ “Doctor Strange” on October 20, 2016 in Hollywood, California. Stan Lee the writer of Marvel comics and a dream seller died early Monday morning at Cedars-Sinai Medical Center in Los Angeles after being rushed there in a medical emergency earlier in the day, a family representative told The Hollywood Reporter. Kirk Schenck, an attorney for Lee’s daughter, J.C. Lee, also confirmed his death. She did not mention Lee’s cause of death but the TMZ celebrity news website said that an ambulance was called to Lee’s Hollywood Hills home early on Monday and that he died at Cedars-Sinai Medical Center. Born Stanley Martin Lieber on Manhattan’s Upper West Side in 1922, Lee’s childhood was marked by the Great Depression. 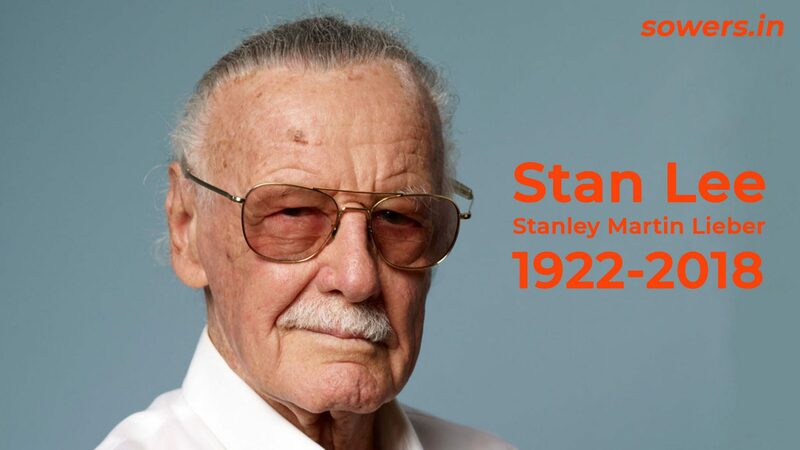 In his 2002 autobiography- “Excelsior!“, Lee described how his father’s struggle to find a steady job had forever affected him: “It’s a feeling that the most important thing for a man to do is to have work to do, to be busy, to be needed,” he wrote. At 17, Lee landed in a job at a publishing company owned by his relative Martin Goodman and began writing scripts for superhero and mystery comics. When Goodman fell out with his editor in 1941, Lee found himself editor-in-chief at just 19. Apart from a brief stint writing copy for the army during the second world war, Lee spent the next 20 years giving voice to a succession of caped crusaders, cowboys and cops. But as the 60s dawned, the formula was starting to wear thin. What happened next is the subject of some dispute. According to Lee, Goodman noticed that a rival comic featuring a team of superheroes was selling well and asked him to come up with another. Writing in 1974, Lee recalled wanting to do “something different – something special”. This was “what the marketplace required”, he continued. “But it would be a team such as comicdom had never known … they’d be fallible and feisty and, most important of all, inside their colourful, costumed booties they’d still have feet of clay.” He wrote a detailed first synopsis for the artist Jack Kirby to follow, “and the rest is history”. But Kirby remembered the creation of the Fantastic Four very differently. Speaking to the Comics Journal in 1989, Kirby claimed he came up with the idea himself, insisting that “Lee and I never collaborated on anything … I used to write the stories just like I always did.” By 1970, Kirby said he’d had a “gut-full of Marvel”, and left for DC Comics. His family won a multimillion-dollar settlement from Marvel in 2014, after which Kirby and Lee were credited as co-creators. There is, however, little dispute that the Fantastic Four launched comics into new territory. Readers bought editions in droves, and over the following years, Marvel published hundreds of characters co-created by Lee, including Iron Man, Thor, the Hulk, Spider-Man, Doctor Strange and the Silver Surfer. With so many stories running at the same time, Lee began letting the characters from one title crop up in others, creating a fictional universe for readers to explore – and one that made readers buy multiple series to get the whole story. After spending more than three decades writing scripts every day, Lee took on a new role as publisher of Marvel Comics in 1972. Setting his sights on the wider world, he took Marvel characters into newspaper strips, published a series of books recounting his version of Marvel’s early years and teamed up with Kirby for the last time in 1978 to produce a graphic novel featuring- the Silver Surfer. Lee relished his role as the company’s public face, becoming a fixture on the convention scene as the wisecracking, grand old man of the comics industry. In 1980, he moved to Los Angeles, hoping to launch his creations into TV and film. Over the next two decades, while Lee struggled to get projects off the ground, cinematic superheroes remained in thrall to rival comics powerhouse DC, with a string of adaptations featuring Superman and Batman finding favour at the box office. A 1990 adaptation of Captain America went straight to video, while a low-budget 1994 version of the Fantastic Four was never released. But in 2000 Bryan Singer’s blockbuster version of X-Men, starring Hugh Jackman, Patrick Stewart, Ian McKellen and Halle Berry, set the template for success – complete with a cameo for Lee as a hot-dog salesman – and the Marvel Universe became a summer fixture in multiplexes across the world. These films – from Iron Man (2008) to Ant-Man and the Wasp (2018) – have made a combined $17.6bn (£13.6bn) at the box office. After the death of his wife Joan in 2017, Lee’s home life and business affairs became the subject of widespread speculation. This year, he filed a $1bn lawsuit against his former company Pow! Entertainment for damages over what he called a “sham deal” with a Chinese company; two months later he dropped the lawsuit, and called it “confusing to everyone”. Police had also investigated allegations of elder abuse, with Lee filing a restraining order against a former business manager, Keya Morgan. Morgan was later accused by Lee’s attorney of taking advantage of Lee’s age to influence and control him. Speaking to the Guardian in 2000, Lee said that coming up with ideas was the easiest part. Excerpts are taken from The Guardian and the Hollywood Reporter. Sowers campaign – Depression | This is not the end. Why PM Modi doesn’t like being questioned by the Journalists?